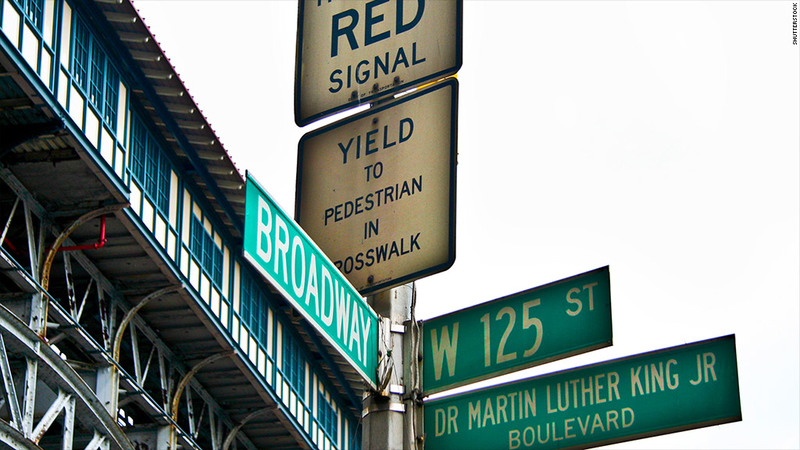 Harlem: New York's new tech hub? Is New York's Silicon Alley moving uptown to an unlikely neighborhood? When people think of the fast-growing New York City tech scene, they think Silicon Alley in the posh neighborhoods of lower Manhattan -- not 125th Street. Yet Harlem is getting a tech-led makeover, thanks to a new series of economic development initiatives aimed at combating the neighborhood's infamous high unemployment rates and widespread poverty. "Our mission is transforming the community into a tech hub," said Clayton Banks, executive producer of Silicon Harlem. "We can eliminate crime, increase employment opportunities, and give the community another Renaissance." Silicon Harlem, a nonprofit community organization launched in 2013, is partnering with local and national politicians and entrepreneurs to help develop Harlem's tech scene. They're supporting tech education initiatives, building up the neighborhood's broadband infrastructure and attempting to lure innovators to the neighborhood. The first step: free Wi-Fi. Continuing an initiative started by former New York Mayor Michael Bloomberg, Mayor Bill De Blasio's administration is deploying the largest, continuous free Wi-Fi network in the United States -- right in the center of Harlem. The network will cover 95 city blocks. Related: Detroit: The next Silicon Valley? But free Internet isn't the only advantage of building a startup in Harlem. The neighborhood is undergoing a significant transformation, with new high-rise condos, a rapidly expanding Restaurant Row and a changing demographic makeup. "Doing things cheaper is a huge factor for a startup," said David Burke, Harlem resident and founder of Burke Software and Consulting. Burke's IT business is one of many startups located at the Harlem Garage, a tech and small business incubator that opened on 118th Street in November 2013 with funding from the city. Most of the entrepreneurs who work at the Harlem Garage also live in the neighborhood. Membership at the Harlem Garage is cheap -- starting at just $15 per day -- and it includes desk and conference room space, high-speed Wi-Fi and a business address. Harlem Garage also hosts networking events and offers workshops that cover everything from tips from venture capitalists to securing intellectual property insurance. "Most other coworking spaces in the city already have an established culture, defined by the successful startups that have come out of it," Kankam explained. "Here, because it's new, we can be one of the defining companies." Local universities are playing a role in Harlem's tech resurgence too. The Garage partners with the Columbia University Business School, hosting students' startups. Columbia biomedical engineering professor Sam Sia chose Harlem as the home base for the over 20 competitively-selected biotech startups in the new Harlem Biospace incubator. And City College of New York's Grove School of Engineering recently opened the Zahn Innovation Center on Harlem's Convent Ave., housing hardware, software and social enterprise startups. "The Center has a great network and resources to help us translate our geeky background into learning the business side," said Tanjin Panna, a City College engineering student who is building his biotech startup, GesTherapy, in the Zahn center free of charge. A rising college senior, Panna's team has already been approached by investors. They're planning to start clinical trials for their physical therapy software soon, focusing on the large population of stroke patients at the neighboring Harlem Hospital. "I've worked out of high-end incubators and co-working spaces in other parts of city, and they didn't have investors coming in like they do here," Price said.